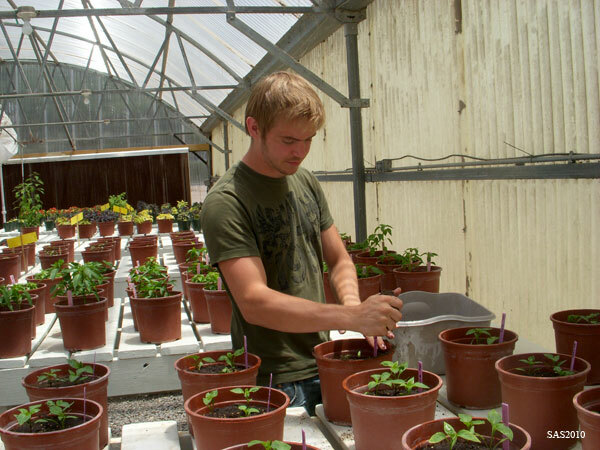 Chiles had their moments of fame back in the 1980s and early ’90s when they were easily New Mexico’s number one food crop. But as the pecan groves expanded and the trees matured, pecans have steadily stolen the chiles’ thunder. These days, the pecan crop value is nearly double that of chile peppers. In 2007, New Mexico pecan growers were dancing in their groves this spring after becoming the leading U.S. pecan-producing state in 2006, displacing Georgia, typically the national champ. The 46 million-pound crop was valued at about $85 million, with grower prices at about $1.85 per pound. 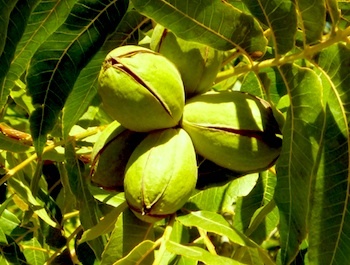 Last year, New Mexico produced 68 million pounds of pecans in the shell in 2009 to rank No. 2; Georgia produced about 79 million pounds to come in first. Texas came in third. But New Mexico recorded the highest price per pound in the shell — $1.76. Arizona ranked second at $1.72 per pound, and California was third with $1.51 per pound. But I’m not sad for the chiles—after all, it’s quality, not quantity. So, as the pecan harvest begins, let’s combine the two favorite crops of New Mexico. Although it’s easy to prepare and extremely tasty, believe me, this ain’t your grandmother’s cheese ball. Although this type of appetizer has graced party tables for years, this one will soon become a new favorite. I use pecans because they are so plentiful here, but substitute walnuts or almonds if you prefer. Note: This recipe requires advance preparation. Combine the chile and the cheeses in a bowl and mix well. Refrigerate until firm. Toss the pecans in the ground chile until well coated. 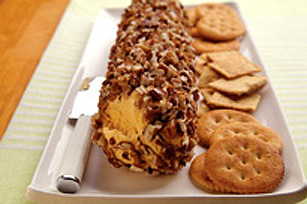 Roll the cheese between 2 pieces of wax paper to form a log. Then roll the log in the crushed nuts and chile for 8 hours before serving. To serve, place the cheese log on a platter and arrange crackers around the cheese and place a knife on the platter for spreading.